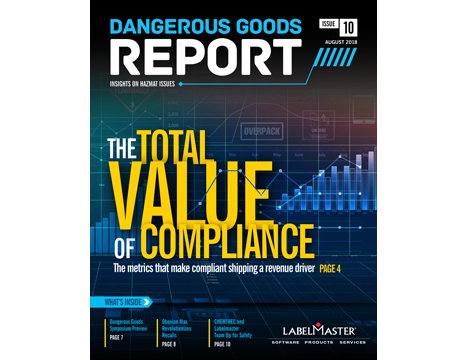 Volume 10 of the Dangerous Goods Report introduces a new framework that helps businesses realize a positive return on investment from their hazmat compliance programs—Total Value of Compliance. It also examines how advanced packaging technology simplifies the transport of damaged, defective or recalled lithium batteries and battery devices, and looks at the safety considerations driving our new partnership with CHEMTREC®. The Total Value of Compliance. 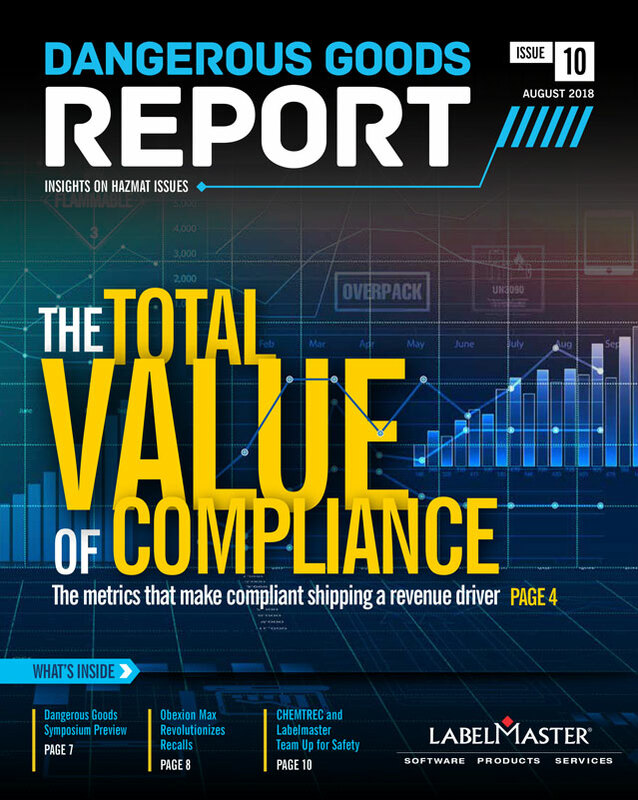 Compliance is not just “a cost of doing business”—it should deliver a positive ROI. Remember when battery device recalls were expensive, complicated and time-consuming? CHEMTREC and Labelmaster team up for safety. Giving responders complete, current information is the heart of our combined mission.